Our passion at World Web Resources is to help businesses grow. 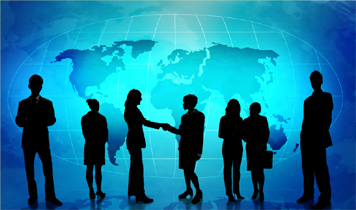 We have been providing a variety of business growth solutions for companies throughout the world for years. Our approach is to NOT 'sell' you anything. Our approach is to understand your goals and objectives for your business, understand what you're currently doing to meet those goals and objectives, and then discuss how World Web Resources might help. You decide if we are a fit, you tell us what our involvement will be. Our solution is tailored and implemented based on your specific needs and objectives. The appropriate solution for your business may simply be a website or a comprehensive lead generation system. Our products ensure your specific needs are met include effective websites, video, audio, all aspects of social media, online marketing, call center solutions, award winning television and radio commercials, corporate logos, full identity packages, branding, as well as a variety of other solutions to grow your sales and improve your market awareness. Our commitment is this: First, if we do not believe our solutions can make a difference to your business, by providing more leads, increasing market awareness, and increasing sales we will tell you upfront and not waste your time. Second, if you do engage us there is no long-term agreement. If we do not deliver, or if your business environment changes, you simply cancel the agreement at any time. Contact us today to find how we might help you grow sales. You have nothing to lose and everything to gain!